Fill your living space with azure glow! 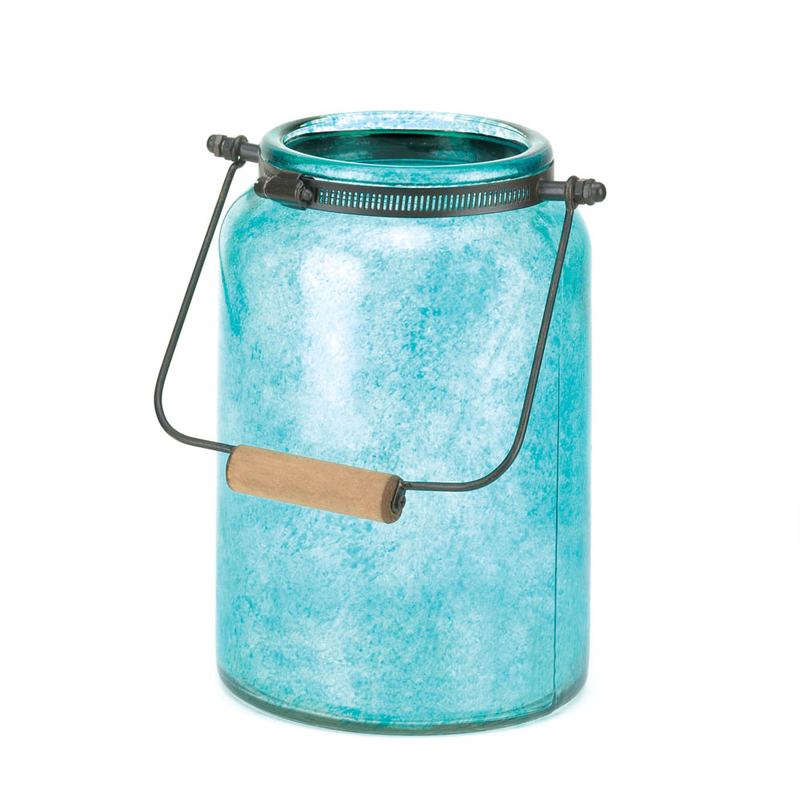 This country-style jar lantern is made from gorgeous blue glass and fitted with a metal handle with wooden grip at top. 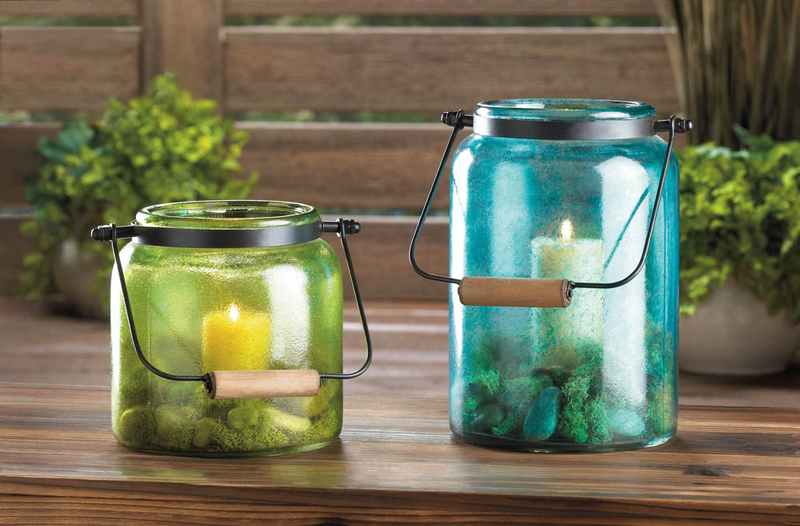 Great for indoor or outdoor spaces. Item weight: 3.2 lbs. 7 3/8" x 6 1/4" x 9 3/8" high; 15" high with handle. UPC: 849179020798.